This ecologically friendly pen accommodates full-colour printing of your design over a large area. 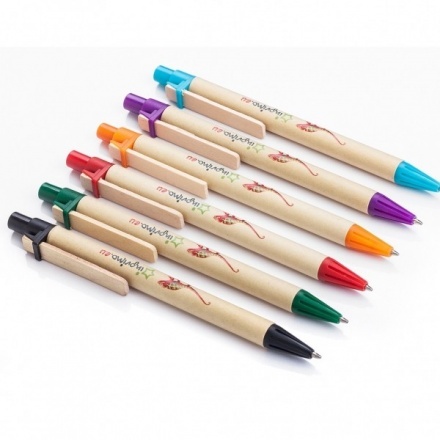 Our Eco pens are an innovative step towards protecting the environment. Combining a sturdy cardboard body with excellent writing quality, these pens will show that your ‘green’ business is taking ecological preservation seriously. Colourful tips offset the natural body and practical clip. Example price include full colour print on one side.